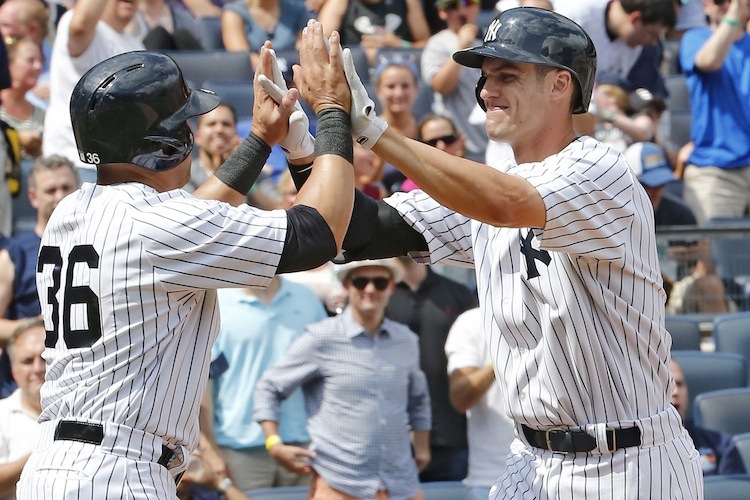 The Yankees took care of business over the weekend in Toronto and returned to the Bronx with a chance to get fat against some weak competition on a 10-game homestand. After sweeping the Twins with three come-from-behind wins, the Yankees are taking care of business once again. Bald Vinny of the Right Field Bleacher Creatures and Bald Vinny’s House of Tees joined me to talk about the good and bad against the Blue Jays, the emergence of Luis Severino and Greg Bird, how and why Stephen Drew and Brendan Ryan are still on the team, the Bleacher Creatures’ relationship status with Nick Swisher and celebrating Jorge Posada and Andy Pettitte at the Stadium.